Kaveh Khosrowshahi, Dara’s brother, is currently managing director at investment firm Allen & Company. Like Dara, Kaveh went to the prestigious Hackley School, the Ivy League prep school that charges around $44,000 in tuition. He then got a bachelor’s degree in history from Williams College, according to his LinkedIn, and has been at Allen & Company since 1989. 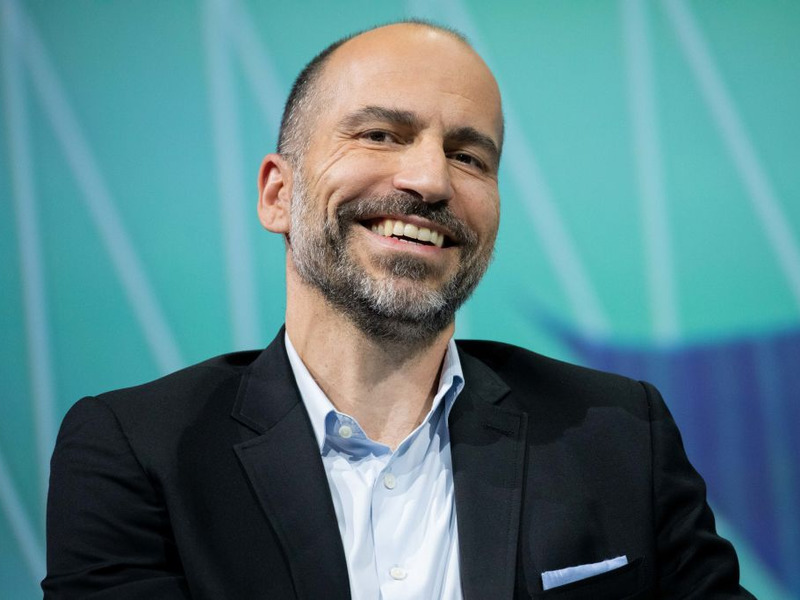 Mehrad Khosrowshahi, Dara’s other brother, is managing partner of the boutique consulting firm Confida Inc.
Mehrad runs the company’s Strategy and Performance Reporting division. Hassan Khosrowshahi, Dara’s uncle, founded the Canadian electronics chain Future Shop. Hassan immigrated to Canada in 1981 and founded Inwest Investments, now part of holding company Persis. Hassan now serves as chairman of Persis Holdings, and is a member of the Order of Canada, the country’s highest civilian honor, according to Persis Holdings’ website. Hadi Partovi, Dara’s cousin, is the CEO of education non-profit Code.org. Ali Partovi, Hadi’s twin brother, helped his brother start Code.org. Amir Khosrowshahi, Dara’s cousin, co-founded IT company Nervana. Farzad “Fuzzy” Khosrowshahi, another one of Dara’s cousins, created Google Sheets. Darian Shirazi, Dara’s cousin, was one of Facebook’s first 10 hires, he says on his LinkedIn. Avid Larizadeh Duggan, Dara’s cousin, was a general partner for Google’s venture capital arm and now serves as an executive at digital-music startup, Kobalt. Avid served as the World Economic Forum’s Young Global Leader for over 3 years, she states on her LinkedIn. She got her undergraduate degree from Stanford University and MBA from Harvard Business School.